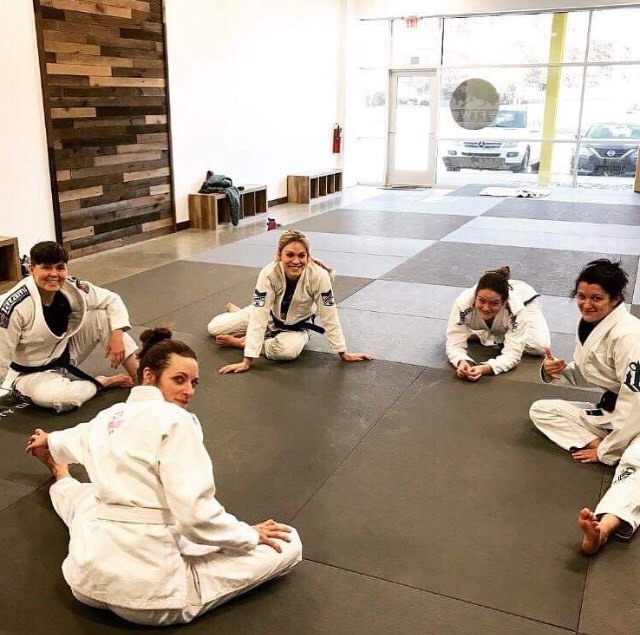 We are growing in women’s BJJ! Exciting! Congratulations to Brad Hannah on receiving his BLACK BELT in Jiu Jitsu! It is truly an honor to be able to train under his instruction. Congratulations to our Fight To Win team member Sandusky on recently obtaining his purple belt with the blue bar! The blue bar is a representation of Sandusky’s hard work in Gracie self-defense. We also have a brand new “blue wave.” Congratulations to Joey, Jason, Tom, Josh, Brian, Sarah, Sam, and Lauren on their blue belts! As a division of Fight to Win / Team Steve Hall, we are Asheville's only Brazilian Jiu-Jitsu training facility that can trace it's teaching and lineage through Royce Gracie. We provide a safe, family friendly, and positive learning environment where camaraderie, respect, and teamwork are the pillars of success. Committed to teaching the highest level of Brazilian Jiu Jitsu; our approach is holistic. We incorporate the training of a student's mind, body, and spirit.